Let's open with a question: How many of you are following us on Facebook right now? I ask because some seriously cool conversations have been happening over there lately. The page is a great place for us to share links and other passing pop cultural ephemera and hear what other people think about it. One of those links, posted by Honorary Lady The Goog, was IO9's critique of that Milo Manara Spider-Woman cover that's been making the rounds (no, not the creepy 3D rendering follow up.) One of the participants in the discussion asked a question that I haven't been able to stop thinking about. Friend of Tiny Doom Geoff asked, "Have you ladies done an article not just about what you'd like to see in a female hero but also how it differs from the typical guy power fantasy?" Well, we hadn't, Geoff, but we're gonna today. Or at least, I'm gonna. Geoff's comment went on to clarify that he didn't expect us to speak for all women, which is great, because I'm super unqualified to do that - just our personal takes on what makes a great super-powered lady and how that is or isn't reflected in mainstream comics. So here are the five major traits, in order from most to least important to me, I'd like to see in my ideal comic-book heroine and how I think it stacks up to the typical male hero. For the purposes of this piece, the "typical" male hero is able-bodied, straight, white, and super-powered. 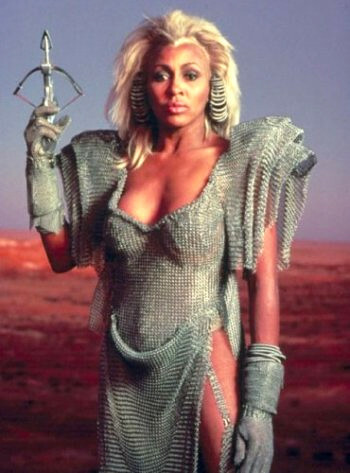 Yes, there are many heroes who don't fit this bill, especially these days, but we're talking about archetypes, here. After each one I'll give an example of a character who I think embodies that trait. I know, I know, you're rolling your eyes right now, but my power fantasy really does start with the smarts. Even when I was a little girl, I was far more attracted to clever, smart-mouthed heroines than I was to the ones who were super pretty or even particularly strong. I like puzzles and mysteries and clever twists, and my ideal lady does too. I think a big part of it is that it feels like being smart is similar to being bullet-proof - if you're in a jam, you should be able to come up a way to get yourself out of it, even if you're hurt or backed into a corner. Strength and beauty fade, but a good education is forever. I feel like in the traditional male power fantasies, brains are an afterthought. They're implied by the fact that a character is perfect - but most of the time, they aren't the first thing people think of when discussing characters like Superman or Wolverine. The one exception might be Batman, whose intellect is at least regularly discussed by other characters, but when your average person lists his strengths, they're going to go with tough and rich first. When Barbara Gordon was shot and paralyzed by the Joker, she could have hung up her Batgirl costume for good and retired from crime fighting forever. 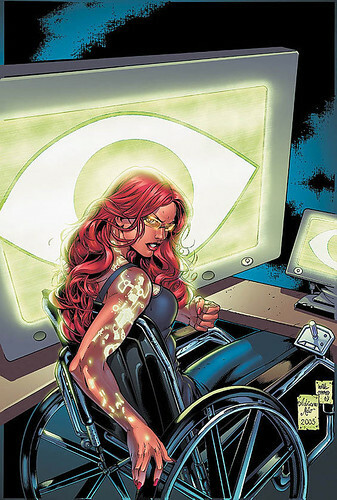 Instead, using her amazing library science skills and tech-savvy to become Oracle, she provides intel and espionage for the rest of the DC heroes. She's brilliant and she's got a will of steel - how can you not love that? Okay, brains are great, but let's get real - if you're going to be off fighting the forces of evil or what have you, it's equally important to be able to be able to defend yourself. And frankly, I think this ranks so high on my list because when I think about my fantasy self, (because that's what superheroes are) she's someone who never has to be afraid walking down the street late at night. Whenever I think about physically dominating someone, it's always in reaction to something, how I would protect myself from a threat - I'm never the aggressor. But in those fantasies, once threatened, I make sure the imaginary attackers rue the day they messed with me. Clearly, physical power is also an important aspect of the masculine fantasy - even the smarty-pants heroes like Hank Pym and Tony Stark use their scientific prowess to improve their physical abilities. Typical male heroes have 12-pack abs and massive biceps, and often punch their way out of situations. More than just a pretty face, sonic scream and fishnets, Black Canary is one of the most proficient hand-to-hand fighters in the DC universe. Trained by the best and with lightning-fast reflexes, this is one tough lady. Whoops, that should probably come a little higher up on the list, huh? Top three ain't so bad, though. What I mean by "integrity" is that I feel like the ideal woman needs to stand for something - she's not just fighting for it's own sake, but has a cause that she believes in. Everything she does is to advance that greater good. This gives meaning to her story and a reason for us to want to read it. Many of the traditional male heroes have this quality as well, though it's mostly found in older heroes. Superman, Captain America, Batman, Spiderman - they all have a code to follow, one that defines them and dictates their actions. How could it be anyone else? 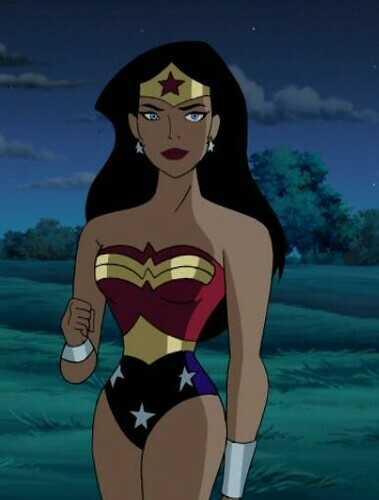 Diana has a mandate from her mother to bring peace and justice to Man's World. Wonder Woman at her best exemplifies duty and honor. Oh, to have nerves of steel and skin like titanium! Not literally - I think robots are cool, but they're not really my ideal ladies, since they don't even really have concepts of gender as far as I know. But it would be nice to feel calm, cool, and collected at all times, to be able to face danger (or even just uncomfortable social situations) with a stone face and a cold heart. Much like brains, this seems to be a trait that is taken for granted in male characters - probably because there's an expectation that men are like this in real life, too, whether or not that's true or fair. 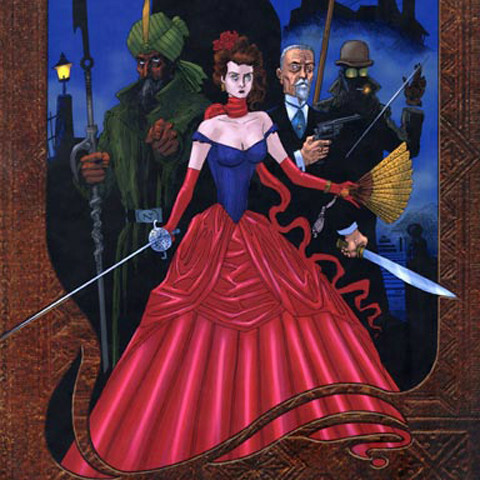 Example: Mina Harker The team leader of the League of Extraordinary Gentlemen has faced down both Dracula and Mr. Hyde, defeated Martians, and defied the British government, all while looking like butter wouldn't melt in her mouth. 5. Dignity The final piece to my ideal lady is that she commands the respect of people around her, not by being aggressive and abrasive, but simply because she is worthy of it. She has a grace and charm and calm acceptance of the world and situations in front of her, and she meets them head on, unflinchingly. In the traditional male fantasy, I think this is more framed as bravery or courage - fighting the good fight even though you might perish in the attempt. But there's an aggression to the idea of bravery that doesn't sit as well with me. 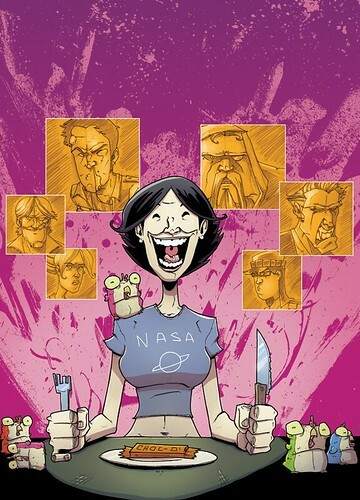 If you aren't caught up on Chew, I don't want to spoil anything for you. But Antonelle, the main character Tony's twin sister, faces an incredibly difficult moment with as much grace as I can imagine. It's made all the better by the fact that overall she isn't a terribly serious character; she's goofy and funny and she loves her crazy family - but in the end, those are the things that help her face down her demons. So how does this list match up with yours? Do you agree or disagree with my choices? Who is your ideal heroine? Tell me all about it in the comments!